1956 Topps Baseball Collection (39). This auction features a selection of single and group lots that have been out of the hobby since their initial circulation. They are not all Gem Mint but for visual appeal these cards can't or would be very hard to beat. If you like cards that have amazing colors that are brought to life thanks to a fresh layer of shiny gloss, vivid white borders and quality corners these presentations are ideal for you. 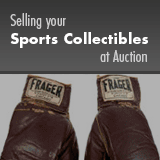 Offered is a collection that includes: 1956 Topps Baseball collection of 39 cards. All are white backs. Includes: #'s 2 Giles (2: Both EX/MT), 5 Williams (GD), 19 (2), 22, 27 (2), 46, 47 (2), 48, 49, 50 Rhodes (2: Both EX/MT), 51 Oravetz (PSA NM-MT 8), 52 (2), 54, 55, 56 Long (PSA EX 5), 57, 58 (2: One is PSA NM-MT 8), 59 (2), 64, 66, 69, 76, 80, 81, 87, 92, 93, 96, 113 Rizzuto (EX), 157, 158 (VG). Grades EX to EX/MT (almost exclusively due to centering) with two lesser and a couple nicer.